How To Hide or Make Invisible Folders in Windows ? If you want to hide your folders to keep them away from access by others then here is a great trick to do it. It can be done without installing any software or doing any hack. 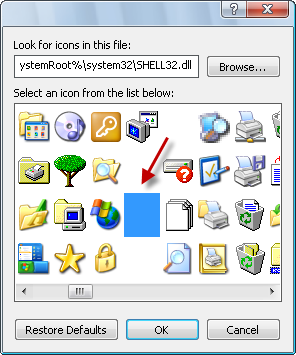 Windows also offers a way to hide our folders through Folder options but it is not too secure as it can be seen by enabling the Show hidden folders option. So we will make our folders invisible. Create a New Folder . Right-click on the folder, and click on “Properties” > “Customize” > Change icon and select icon as blank space. Now Rename the folder and press Alt0160 simultaneously (use the numbers from Numpad). You will see the folder name disappear. Use Alt 255 rather than Alt0160 . Its the ascii value of space. Thanks for giving your nice advice.